Other causes for spinal misalignment can be dietary, toxic exposure, dehydration, poor lifestyle choices, food allergies, emotional stress and nutritional deficiencies. When spinal vertebrae are out of place, it has an overall systemic effect from muscular system to the central nervous system. Without proper alignment, the nervous system cannot get the proper signals from the brain to the body. This results in malfunction, where we can't function at our peak or optimal level. A traditional chiropractic adjustment is often a pressure from the chiropractor utilizing the hands to move a vertebrae back into place. This happens with a quick movement that is often without discomfort. We do not perform any type of traditional chiropractic at TLC Holistic Wellness. We only use gentle chiropractic techniques. 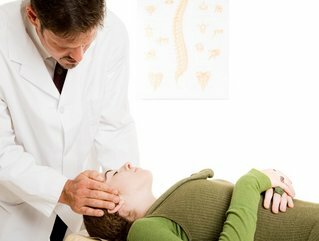 Gentle chiropractic spinal manipulation or adjustments involves the use of chiropractic adjusting instruments or gentle finger pressure to realign the misaligned vertebrae. The goal of gentle chiropractic is to decrease pain and help restore normal alilgnment to the spine without any sudden movement, thereby creating minimal residual soreness or pain. Overall, adjustments are an excellent way to keep the body functioning at its highest level. When the body is in alignment, the body is able to respond and perform at its optimal level as it was designed to.